Amongst all the headlines predicting Theresa May’s demise somewhere between tomorrow and the Tory party conference and possibly a month or so beyond, and there have been many, why is the Evening Standard headline by far the most important? “In our view, May’s premiership is not sustainable beyond a few months, perhaps a year at most, and will be under pressure in the face of contentious parliamentary votes from the very beginning,” said the bank’s chief political analyst Tina Fordham in the note. But – George Osborne – ex Chancellor of the Exchequer is now the editor of the London Evening Standard where this article was published. 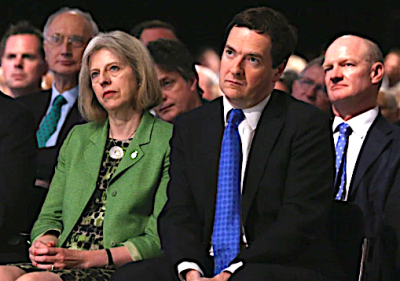 Other than being being a little mischievous why would Osborne know any more than anyone else?